3 1/2 x 19 x 16 in. Object is a computer with integral keyboard. Front label is "(greek letter Psi) COMP 80." Connectors on the back are hand-labelled "TAPE" and "PRINTER" in marker pen.. Per the donation record: "The (psi)80 computer is a personal computer kit. 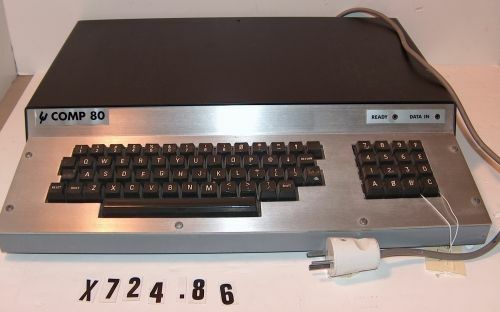 It was published in "Wireless World" magazine, April 1979... combines a Z80 main processor with MM57109 number cruncher ... used a special TV interface cirucit... "